Born in Paola. 1981 graduated with honours in Medicine and Surgery La Sapienza University of Rome. Specialization in Pneumology 1986. Postgraduation in Periodontology and Implantology at the New York University College of Dentistry, in Periodontics and Periodontal Surgery at the North Western University of Chicago, USA, and Diploma in Clinical Periodontology at the Göteborg University, Sweden. Participation of surgical procedures with Preston Miller, Dennis Tarnow, Jan Lindhe and Jan Wennström. Master’s Degree in Developmental Dentistry, Oral Medicine and Dental Care in Patients at Risk, Critical Patient Management, Day Surgery, Dental Practice Management, Public Policy and Health Management, Handicap and Integration in Italy and Master in Odontostomatology, techniques of hypnotic induction. Continued Education in Outpatient Oral Surgery, Reconstructive Periodontal Surgery, Specialized Dental Psychology for Handicapped Persons, Special Dentistry for Disability, Oral Pathology. Additionally, Internship in Journalism – USPI Editor. Since 1985 dedicated to the problems of approach and techniques of oral care of disabled, especially non-collaborators patients. He has founded and directed several Special Odontostomatology Care Centers at Public Structures like G. Iannelli Civil Hospital of Cetraro, Romeitic Hospital of Rome and private affiliates with SSR like Villa Gioia di Sora Clinic, Di Lorenzo di Avezzano Clinic, Antonelli Clinic of Arce, Karl Wojtila Hospital of Rome, Health Clinic of SM Capua Vetere. Professor Raimondo has done, under general anaesthesia, thousands of conservative, prosthetic and implant rehabilitation treatments and also oral surgical procedures, in patients suffering from serious mental retardation and rare diseases. From 2003 to 2011, as a member of the Culture Group of the Odontoiatri Commission of the Provincial Order of Physicians and Dentists of Rome and as Head of the Handicap Commission, Professor Raimondo Eugenio has organized training courses for doctors, dentists and dental hygienists for the treatment of risk and disabled patients. Since 2012 he is Member of the Culture Group of Social Dentistry of the same Order and of several Scientific Commissions like Gia ‘National Vice President and Active Member of the Italian Society of Odontostomatology for the Handicap, and’ Coordinator of the Calabria region since 1996. Professor Raimondo was Tutor and Clinical Coordinator of the New York University College of Dentistry from the 2007 academic year (Italy Program Special-Care) conferred by Prof. H.K. Beacham Assistant Dean NYU. Adjunct Professor 2004-2005 in Periodontics “CLOPD”, Restorative Dentistry and Odontostomatology Clinic (CLID) at the Magna Graecia University of Catanzaro, collaborating in research studies of lesions typical of oral cavity in patients suffering from rare diseases with Prof. Daniela Concolino Head of the Regional Center for Genetic Pediatrics and Rare Diseases. Professor Raimondo was Lecturer and Board Member of the I and II Level Master in Implant prosthesis and Oral Surgery “Aldo Moro University of Bari”, Director Prof. Francesco Inchingolo and Lecturer at the Master in Advanced Technologies in Oral Hygiene Sciences at the Sapienza University of Rome, Director Prof. Gianna Nardi. Professor Raimondo was Scientific Director of the Specialization Course in Special Dentistry, critical and disabled patients at the University of Pisa, academic years 2014-15 and 2015-16, Director Prof. Ugo Covani. 2016-17 and has contributed as Lecturer at the Master of Oral Implantology at the Marconi University of Rome and as Visiting Professor at the University of Ferrara, by Prof. Giuseppe Siciliani. Professor Raimondo has teached about “Conservation” at the graduation Course in Odontostomatology at the University of Mekelle, in Ethiopia. Invited as an expert, from different Universities to hold seminars, specialization courses on Special Dentistry like University La Sapienza of Rome, University of Ferrara, University of Turin, University of Catanzaro, University of Pisa, University Marconi of Rome, University of Bari and also by Associations of Category and Entities like ANDI, CAO, ASL. From 2017 Professor Raimondo is Member of the Technical Committee of the Andi Onlus Foundation, the most representative Dental Association in Italy and in Europe that, without profit, pursues objectives of solidarity and promotion of the oral and general health. Professor Raimondo is Member of several Scientific Commissions of Associations of rare diseases (tuberous sclerosis, incontinentia pigmenti, angelman syndrome, etc. He is Delegate for Health and special projects of the Province of Rome from 2004 to 2008. Professor Raimondo is also Journalist enrolled in the Order of Journalists of Lazio. He has founded the magazine of Social Medicine Medical Team Magazine, an information magazine for the medical profession (www.mtmweb.it). Professor Eugenio is Member of the Commission for the drafting of the Clinical Recommendations of the Ministry of Health of the Republic of Italy for the dental treatment of handicapped persons. For his social activities Professor Eugenio Raimondo was awarded the honorary titles of “Cavaliere”, “Officer”, “Commendatore” and “Grand Officer” of the Italian Republic by the President of the Council of Ministers and received the “Apostolic Blessing” of the Holy Father John Paul II. Professor Raimondo has participated as a speaker at about 140 national and 14 international Congresses on the issues of Special Care. He is Author of the university book “Special Dentistry for the Critical and Disabled Patient” published by Edi-Ermes (2013), presented in Berlin at the IADH International Congress in 2014, ISBN 9788870513707. He has participated as a guest on several RAI television programmes like Unomattina, Saturday and Sunday, Futura City in the Family, Let’s start well, TG3 People, Good to know, etc. and also in several newspapers and magazine of the printed press talking about his activities. Professor Eugenio has also organized theatrical activities and shows with the “Euridice” an Association that he has founded, at the most prestigious Italian theaters like Il Sistina di Roma, Il Ghione, Il Belli and many others with TV reviews in the early evening in the National TG. He carried out the military service as Head of Health Services at the SMT Spolettificio of Baiano di Spoleto where he worked as a Medical Doctor, reorganizing the factory from scratch with the new accident prevention requirements. He founded MedicalTeam srl in the year 2001 that deals with the organization, health management of private and public facilities for the care of disabled people, affiliated with the University of Bari Aldo Moro as an educational pole since 2018. Professor Raimondo is registered in the Register of Physicians and Surgeons of Rome with number 31918 since 1982, in the Register of Dentists of the Order of Physicians and Surgeons of Rome with Number 777 since 1989, Member of the National Union Officials on Italian Leave with number 716079 since 1998, enrolled in the Register of Technical Consultants of the Civil and Criminal Court of Rome and enrolled in the Register of Journalists of the Order of Journalists of Lazio with number 118906 since 2006. Professor Eugenio Raimondo is one of the currently most famous Oral Surgeon and frequently requested as visiting professor over the world. Professor Eugenio Raimondo is Founder Member, Former President and Permanent Member of the Executive Board of The World Academy of Medicine, based in Salzburg Austria. Professor Eugenio Raimondo was designated to be Delegate of The World Academy of Medicine at the World Health Organization, United Nations in Genève, Switzerland. He has obtained the Venia Docendi at the New York University College of Dentistry U.S.A. and the Venia Legendi at The World Academy of Medicine in Salzburg, Austria. 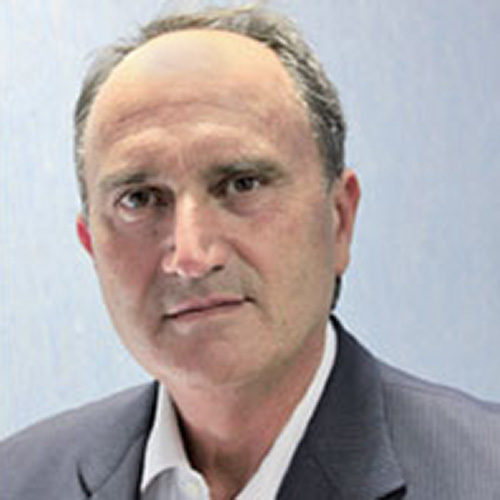 Professor Raimondo is an International recognized Surgeon and accredited as “Distinguished Great Master and Ordinarius University Professor of Medicine and Odontology with “Venia legendi” to educate Physicians at levels of Graduation, Master and Doctorate Studies as also very high qualified to be Leader of Research Groups in all Countries affiliated to The World Academy of Medicine. Professor Raimondo is Member of the Senate of the Congregation Faculty of The World Academy of Medicine.